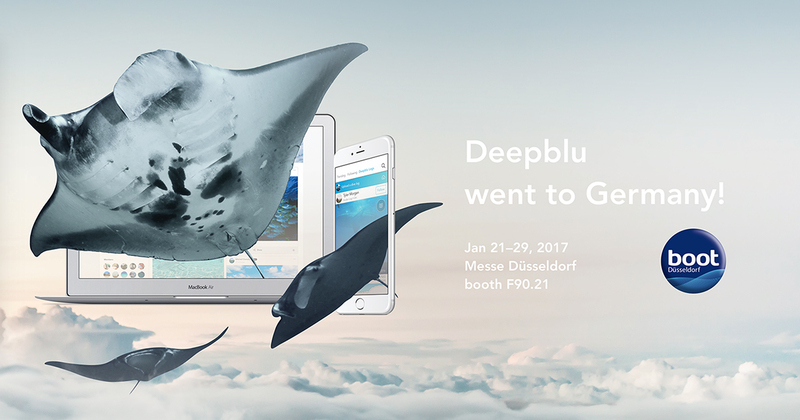 We were excited to showcase our products to our European audience at the world's largest water sports trade show: the boot show in Düsseldorf, Germany. We were excited to showcase our products to our European audience at the world’s largest water sports trade show: the boot show in Düsseldorf, Germany. Our crew entertained thousands upon thousands of visitors at our booth and we want to thank all of our guests from all over Europe and beyond: Germany, Belgium, The Netherlands, France, Italy, Spain, Finland, Sweden, Norway, Austria, Switzerland, Slovenia, UK, Indonesia, Malta and many many more. We had a blast and hope you did, too. 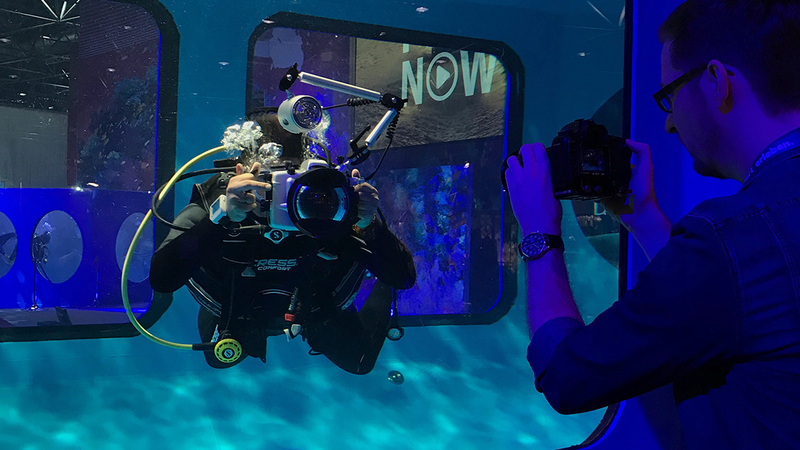 The Deepblu editorial team also went sniffing around the booths for interesting new developments in the diving world and wrote a series of articles highlighting what’s new. 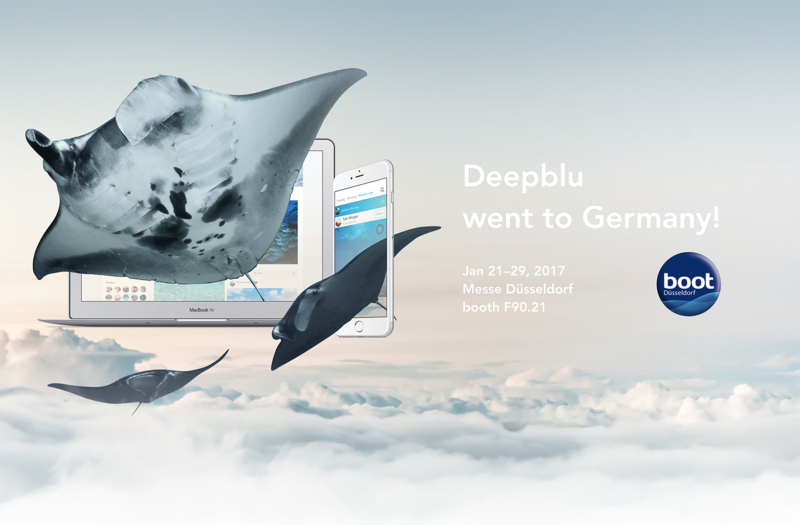 We were especially ecstatic about Ariadna Tech’s personal underwater navigation revolution and Paolo Piumatti’s Finclip, an innovation that makes donning your fins as easy as clipping on your skies, minus the weight. No less appealing were the German invention Buddy-Watcher which allows you to call your buddies without making a sound, and Tiemen van Dillen’s STEPDive, a method and tool to teach young kids to dive. 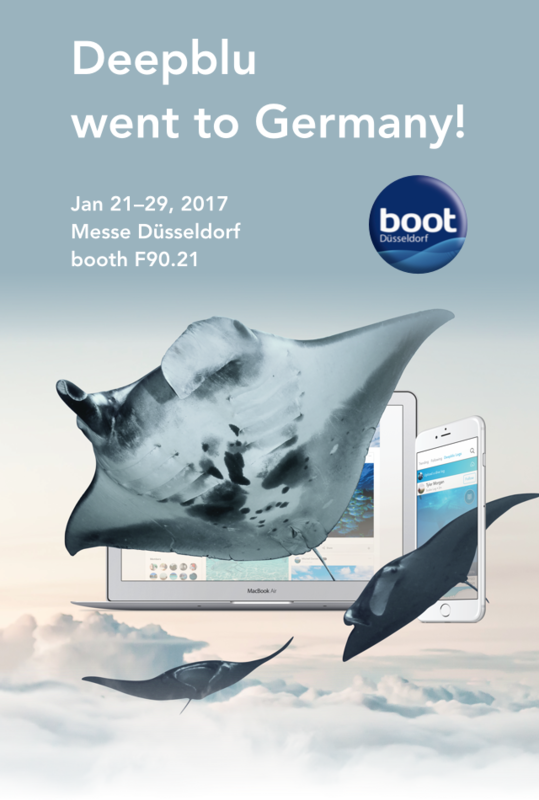 Our participation at boot 2017 was a success and we can’t wait until next year’s show!